Look closely, and you’ll notice this might not be what you thought it was. 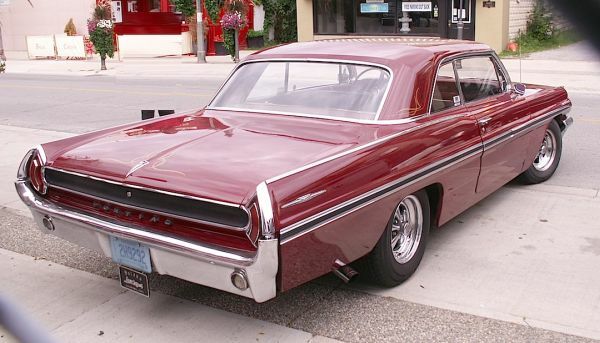 It’s a 1962 Pontiac Parisienne, which was Pontiac’s top-of-the-line north of the border. Full-sized Canadian Pontiacs were built on the shorter Chevrolet chassis and used Chevy running gear. The Parisienne was (sort of) equivalent to the U.S. Bonneville trimwise. I found this one last summer at a car show on Queen Street in Niagara Falls, Ontario. Jim Corbran, RRofWNY …and check out our Facebook page: Non-American Classic Cars The post RealRides Of WNY appeared first on Buffalo Cars.